Dr. Dennis Tieman graduated from the University of Evansville with a Bachelor of Science degree in Biology. He then graduated from Logan College of Chiropractic in Chesterfield, Missouri with a Doctor of Chiropractic degree. 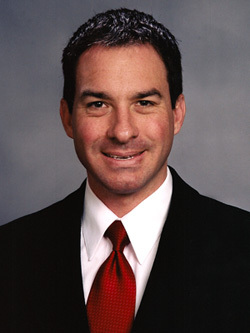 Dr. Tieman opened his practice in Boonville, Indiana in 2002. Dr. Tieman is certified in Applied Kinesiology, Diversified Technique, Active Release Technique, Visceral Manipulation and Activator Methods. He also utilizes Chiropractic Neurology, Gonstead, Sacro-Occipital Technique, Mechanical Traction, and Extremity Adjusting. Dr. Tieman completed the McMaster University Contemporary Acupuncture for Healthcare Professionals Program in 2010. This Acupuncture system utilizes a neurofunctional approach to treatment that has proven very effective clinically.